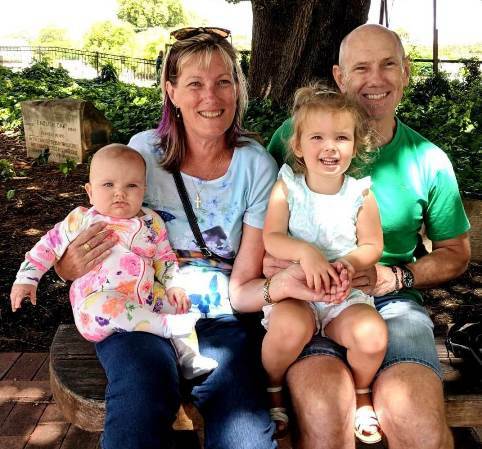 DOES GRANDPARENTING CHANGE YOUR VIEW OF BEING A PARENT? Up until recently I'd have had to answer this question based on the extensive experience I have as Nana to my two grandkittens, Willow and Shadow. From them I've learned that I'm just the patter and a lap to snuggle up on. I'm not responsible for the feeding, or the poop scooping, or the water spray squirting when they're naughty. It's nice not being the disciplinarian or the worrier (like I am with my own fur children) and I think grandchildren will be pretty much the same. 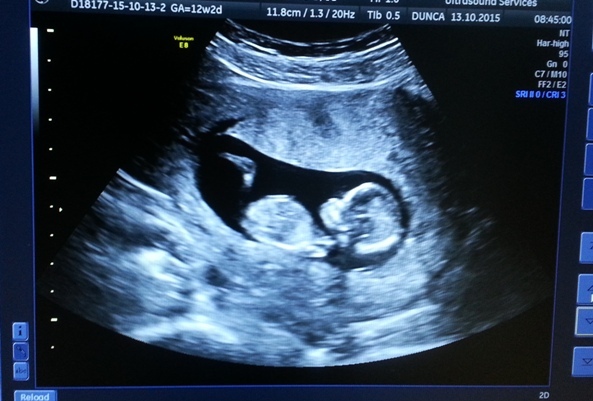 Our son and his lovely wife announced a few months ago that they were expecting a baby - our first grandchild. Actually it will be the first grandchild for both sides of the family, so there is a lot of anticipation and excitement. This new baby is a little girl, and she's due on April 24th. We have already started a photo album with her first official baby photo (there was a 3D one as well but even her parents thought she looked a little weird in it - apparently 3D looks better in video format than as a picture). Things have changed a lot since my days of being pregnant, there are all the dietary restrictions, and a multitude of new rules, along with the recommendation that parents and grandparents have whooping cough booster shots. There is so much information available to parents from the internet and books - almost too much to take on board at times. But what my D-I-L says is what we go along with because ultimately she is the mum. This whole Nana thing is such a blessing and joy - this little person will be here soon and will bring so much happiness with her. I can't believe that she'll be crawling around the Christmas tree by the end of the year (wearing the really cute little Christmas tee shirt I couldn't resist buying at the end of year sales!) I think I'll be a lot more relaxed as a Nana than I was as a Mum - I can be the back-up plan rather than the first line of offence when it comes to being responsible. I can enjoy all the snuggles and cuddles and giggles and even a few tears and at the same time I'll know that the buck stops with her parents. Though I may be the Nana who sneaks in a lolly or two when nobody is looking! We headed up to the city last weekend to see the new nursery all set up and to check out the baby bump that we hadn't seen since Christmas. Our daughter was there to join in the fun - she's almost as excited as I am - she gets to be an aunty and is off the grandbaby expectation hook for a while (much to her delight!) Roll on April 24th!! Well it's almost three years later and we have now have two granddaughters. Sophia (the one in the ultrasound picture) is nearly 3 and her little sister Georgia, is 6 months old. Life has been so much fuller with them in it. A two year old keeps us on our toes and baby snuggles and giggles have been the absolute best! Here's a recent picture to finish with. thanks Kathleen - it is such a lovely time of life - exciting for them and special for us. Babies just bring their own joy along with them don't they? This is awesome! Congrats! The nursery looks beautiful! Your mum was right on - I'm looking forward to the "all care and no responsibility" clause that comes with being a Nan! How exciting Leanne. All the best to you and yours. thanks Laurie - it will be really fun I'm sure. Congratulations! 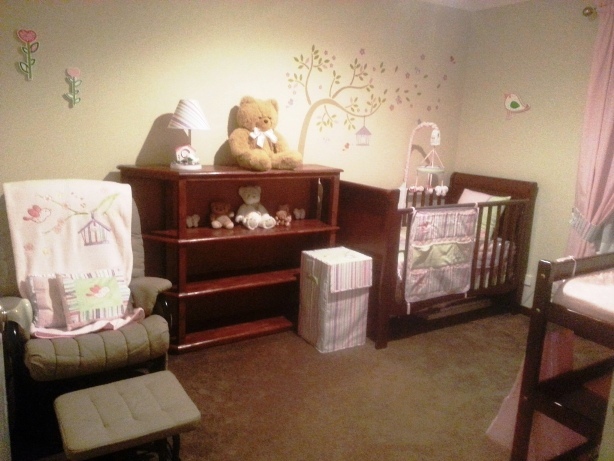 And what a beautiful nursery:) I can't believe you're be a Nana soon. What a joy! I am SO Excited for you Leanne!! It is so fun to imagine the little one around the Christmas tree, like you were describing. :D Pinning and tweeting! thanks Winnie - it is an exciting time and hard to imagine a little baby being around soon! My D-I-L is a big fan of pink and I'm sure she will be a girly girl (until she grows up and starts choosing her own wardrobe!) In the meantime there will be lots of pink and sparkles and tulle! Aw! Cute kitties! My parents have grankittens too! So close now - only a few more months! It sounds like you have the perfect attitude towards being a grandparent & you're going to be a great one! I'm excited for this....someday! It's the next phase of life Lana and a few of my friends are becoming grandparents this year - we're all as pleased as each other! Congratulations on impending grandmahood. I'm sure you'll be great. I love the photo of the kitten with the sweater on. Thanks for bringing this to Pit Stop. thanks Janice - the sweater is because she is a devon rex (not much hair) and gets cold - she has a wardrobe of outfits! Hi Leanne! Congratulations I've selected your post as one of my top two picks in this week's OTM linkup. Such an exciting time for you and your family thanks for sharing with us.